We invited our female clients to bring a friend for dinner at Locust Grove to pick up a few tips on investing for the future, protecting their assets, and setting goals. Special Olympics has created a community that celebrates people’s diverse gifts, and we couldn't have been more excited to help sponsor this years Winter Games and cheer on the athletes. Heart disease and stroke cause 1 in 3 deaths among women each year, killing approximately one woman every 80 seconds. 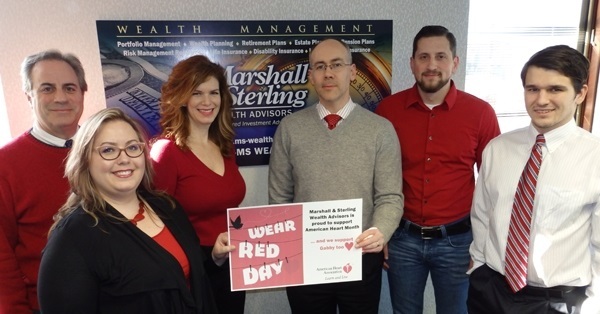 Each February, our staff promotes making positive lifestyle changes to support a healthy heart by wearing red on Go Red for Women Day and donating to the American Heart Association.